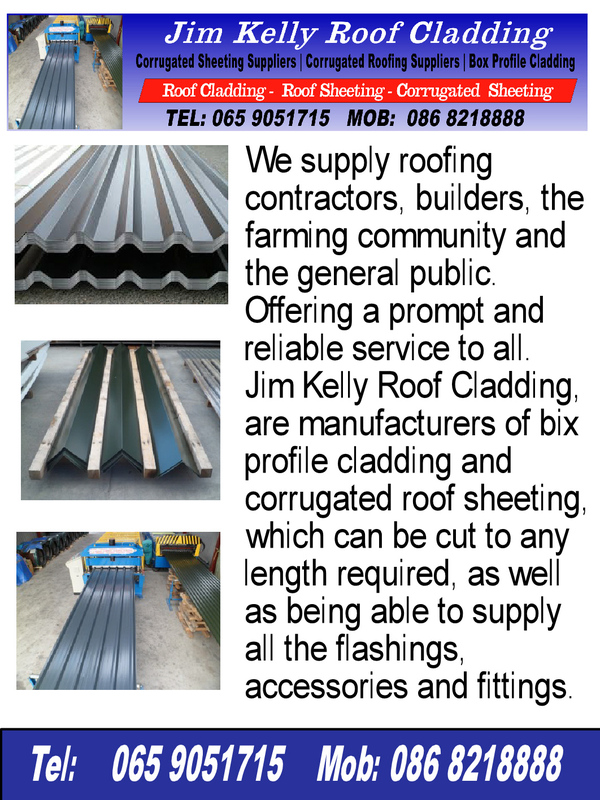 Jim Kelly Roof Cladding, roof sheet manufacturers covering the whole of Ireland. We are a family run business established in 1985. We supply roofing contractors, builders, the farming community and the general public. Offering a prompt and reliable service to all. 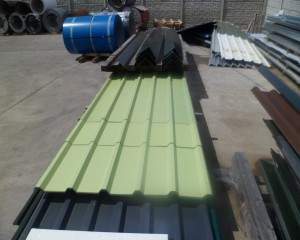 Jim Kelly Roof Cladding, are manufacturers of bix profile cladding and corrugated roof sheeting, which can be cut to any length required, as well as being able to supply all the flashings, accessories and fittings.